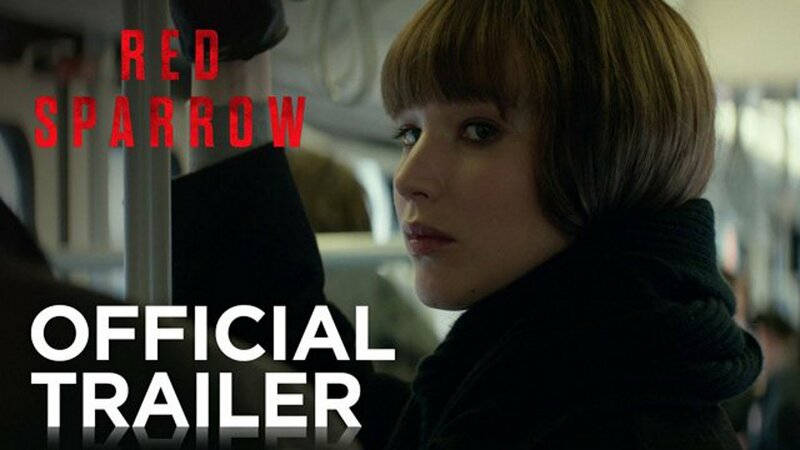 Red Sparrow Trailer Delivers A Very Different Jennifer Lawrence - Are You Screening? When you’re looking at the world of trailers, especially those that run around 90 seconds, you don’t find many that feature 30 seconds of the film’s star sitting almost perfectly still. Add in the fact that Jennifer Lawrence never does say anything, and we really only see her walk for a few seconds, and the trailer for Red Sparrow is in unique territory indeed. The film centers on Dominika Egorova (Lawrence), a former ballerina who is forced into what’s known as “Sparrow School,” where she is trained to use her body and brain as weapons in order to seduce targets. The trailer gives us some brief flashback moments, which make you wonder about the film’s ultimate timeline, of Dominika as a ballerina and in the school. While the trailer may suggest a certain layout to the film and its plot, I suspect there this is a far deeper dive into the life of a spy/assassin. The synopsis suggests an effort to reconcile the various aspects of her life and that’s either a complete red herring, or something that requires a lot of screentime. Moreover, the synopsis is quick to point out that she emerges as the most dangerous Sparrow the program has ever produced, and that rarely bodes well for those running such programs. If Lawrence can pull out all the stops on a portrayal, as she has managed in her David O. Russell playlist, this could well become an instant genre classic. The film hits March 2nd, 2018 and is likely to be the movie to beat in spring. Even a moderate marketing push will have audiences flocking to this one. The trailer might not give you that much, but the synopsis is full of treats.